Kavanaugh – Who Is The Elevator Woman Responsible For Changing Jeff Flake’s Mind? 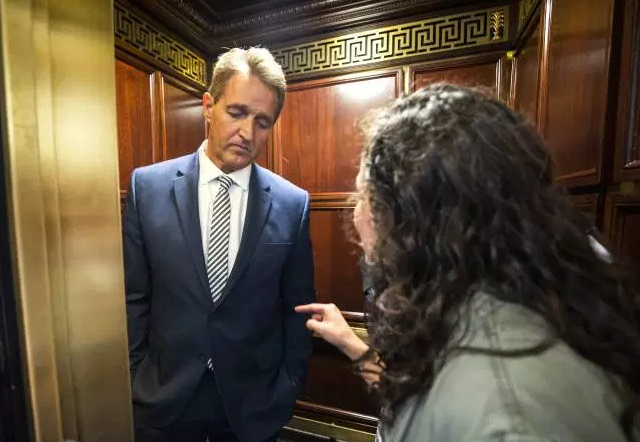 Hero of the day to the left is Ms. Ana Maria Archila who, together with Ms. Maria Gallagher, staged an impromptu protest in an elevator yesterday, cornering Republican Senator Jeff Flake and berating him for planning to back Judge Brett Kavanaugh’s nomination to the supreme court. “If it was just my story and Maria’s story it would not have made a difference. 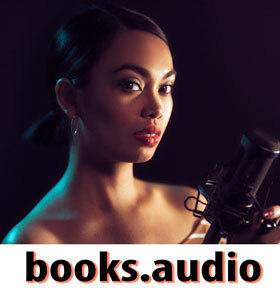 It was the fact that it was thousands of women’s stories,” Ms. Archila, interviewed by many left-wing outlets like the BBC and the Guardian, explained on Saturday. She stated that immediately after she read on social media that Mr. Flake would back the vote for Mr. Kavanaugh, she was determined to stop him. According to Ms. Archila, when she and her colleague Ms. Gallagher stopped the Arizona Senator, it appeared that he wanted “to be anywhere else but in that elevator”. “Immediately after he came out of his office, we – in an outpouring of frustration and rage and sadness and anger – stopped him, confronted him and forced him to listen to our stories and … questions. The rest is history. Mr. Flake returned to the hearing and asked his colleague to start an FBI investigation before the Senate could vote on accepting Mr. Kavanaugh, possibly pushing the process on for weeks to come. The Democrats hailed it as a (temporary) win. US Senator Joe Manchin (Democrat from West-Virginia), who is up for a tough election in November, weighed in on the call from Republican Senator Flake. He stated: "I applaud Senator Jeff Flake's decision to rise above the partisan circus on display during this entire process. I took courage to take a stand and call for a one-week FBI investigation to get to the bottom of the allegations against Judge Kavanaugh." "This has been a partisan and divisive process. The American people have been pulled apart by this entire spectacle and we need to take time to address these claims independently so that our country can have confidence in the outcome of this vote. It is what is right and fair for Dr. Ford, Judge Kavanaugh, and the American people." He a wimp standing for more murders of babies. It all about lies not about truth. Sure you changed his mind, but on the off chance it was something else can we audit his finances? Jeff FLAKE did it for attention. He is washed up and he is looKing for attention like John McCain received when he died. That's all nothing more. This article is incorrect. It was a staged event or the one of the DINO's called ahead. Like McCain, Flake is a RINO. anyone else think that this was orchestrated?? flake continues to channel mccain…. disgusting coward! Staged! Senate has private elevator and those women could not be there unless it was arranged. >>>38521, Good point. These wicked people are really tipping their hand. Tell me the deep state doesn't exist after we get to the end of the week.